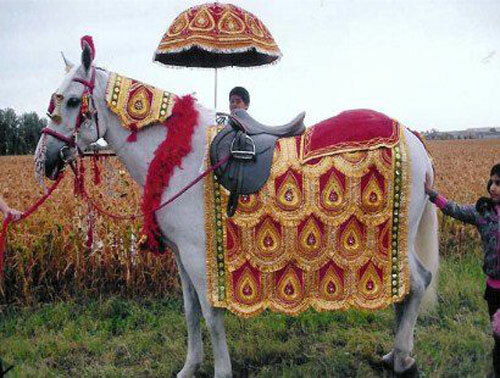 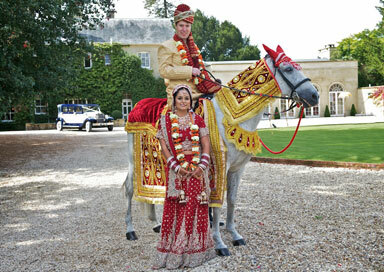 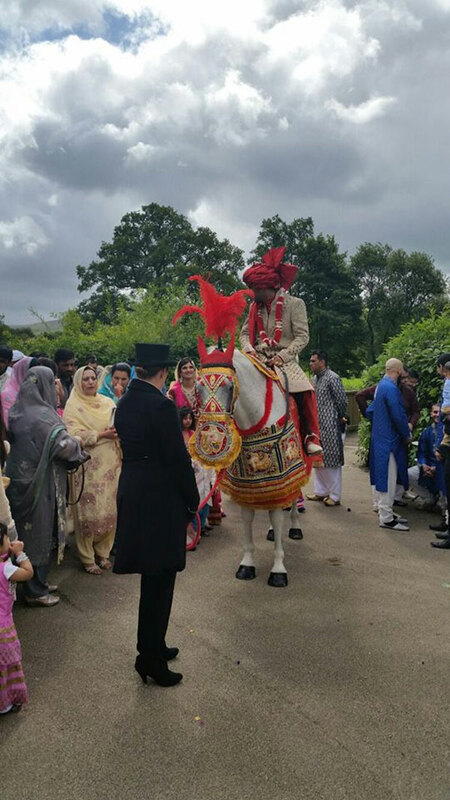 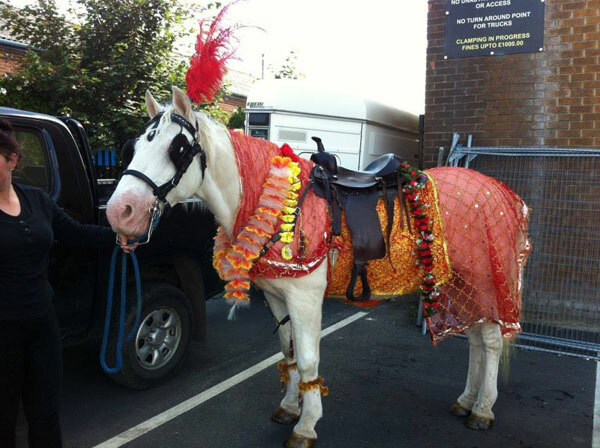 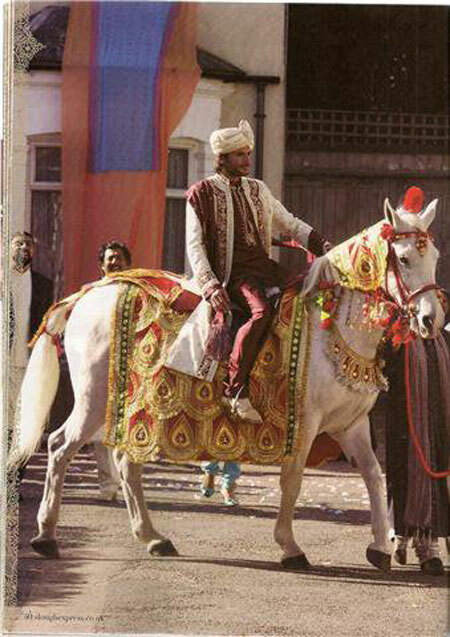 Hire a stunning and fully insured white female horse (Ghorie) for your Indian Baraat and be taken to your Gurdwarra or wedding venue. 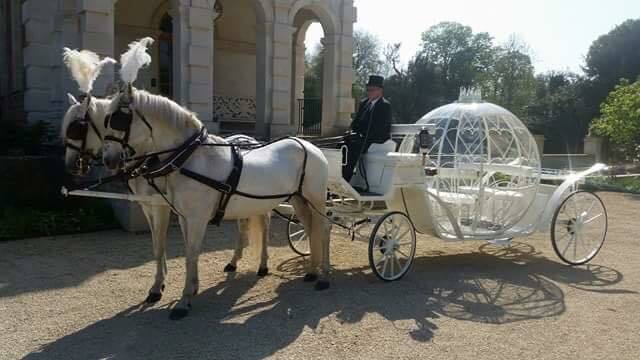 We have very carefully chosen horses throughout the UK and can provide you with a fully insured and decorated horse complete with the umbrella. 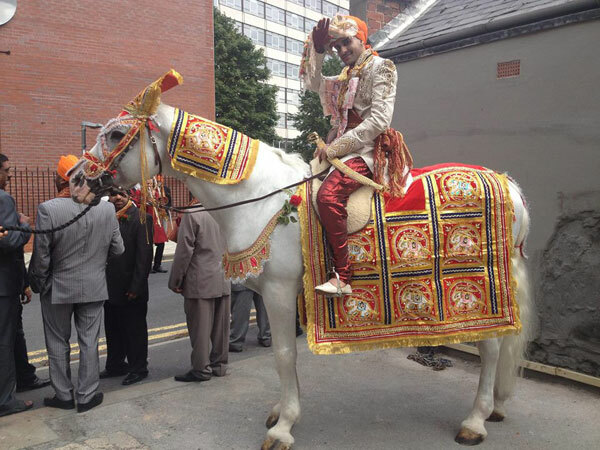 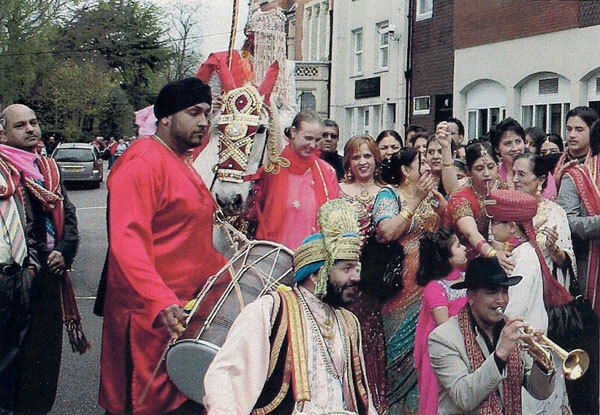 We can also provide you with a Baja Band which usually consists of 2 dhol players and 3 brass musicians all in costumes for an elegant and lively wedding entrance.